In this article we foreground the lived experiences of a group of post-graduate education students at the University of the Free State as they explore issues of social justice in the curriculum. Our contextual and local experiences are situated within a call for decolonisation of the curriculum. Within this context we view curriculum as an autobiographical, lived and storied practice (Pinar 2012). Through our creative collaborative narrative, we focus on teacher identity and experience as this has been shown to have a major impact on the curriculum (Clandinin & Connelly 2000). We believe that, “[s]ocial justice practices at their best should also awaken our senses and the ability to imagine alternatives that can sustain the collective work necessary to challenge entrenched patterns and institutions and build a different world” (Bell & Desai 2011, p.287). Therefore, we use Kumashiro’s (2002) conceptualisation of anti-oppressive education to highlight the messiness and discomfort of our experiences as we re-learn and unlearn and trouble oppressive knowledge in order to imagine alternatives. As such, our article contributes to an existing body of work that use collaborative and narrative methods to research issues of social justice. 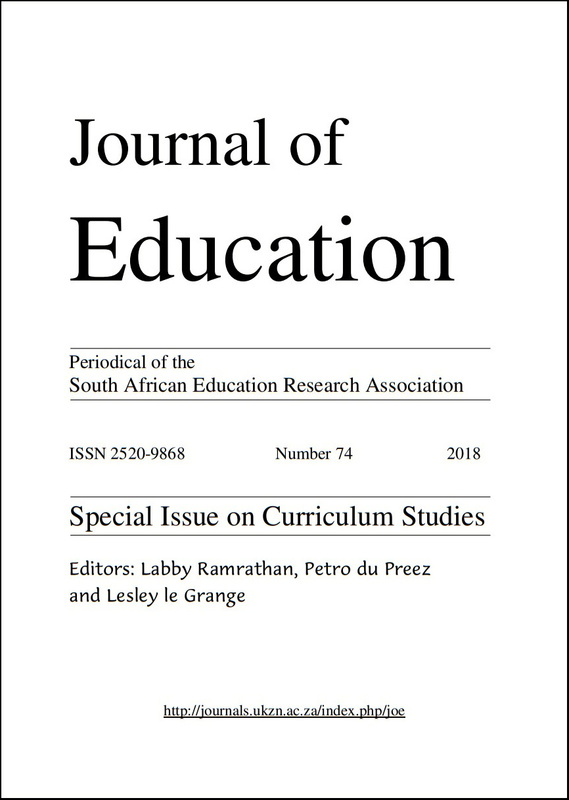 However, as much of the international literature on social justice education and curriculum is written in contexts far removed from our everyday experiences we wish to make a unique contribution that is rooted in our local context and highlight the unique experiences of South African teachers in relation to issues of social justice in the curriculum.